We are passionate about developing high quality software for our clients. CodeSherpas Inc. is a technical solution provider with outstanding qualifications. The company was founded in March of 2007 with the desire to provide high quality software solutions tailored to the individual business needs of our clients. The CodeSherpas team is led by three software engineers with 50 combined years experience building and delivering mission critical software applications. Our founders worked together for 9 years prior to founding CodeSherpas. Knowing we work well together as a team, we started CodeSherpas and have been building and delivering successful projects for our clients since 2007. We have a proven track record of success and have built our reputation upon delivering quality software to our clients. In the time since CodeSherpas' inception, we have delivered many successful custom web applications for our clients, primarily specializing in Ruby on Rails technology. Our team members have been building our Ruby on Rails expertise for 5 years, and our lead developers are alumni of the first ever “Golden Spike” Pragmatic Studio's Ruby on Rails class and host the Ruby5 podcast every other Friday. We are involved in several Ruby technology conferences, nationwide, in roles both as speakers and organizers. Our partners are also recognized for our excellence in Project Management and have been published in the book 97 Things Every Project Manager Should Know (O'Reilly Publishing, 2009). - Internationalization and multilingual support. We designed and created this web application of aggregated data that is searchable and can be found by anyone seeking matching criteria. 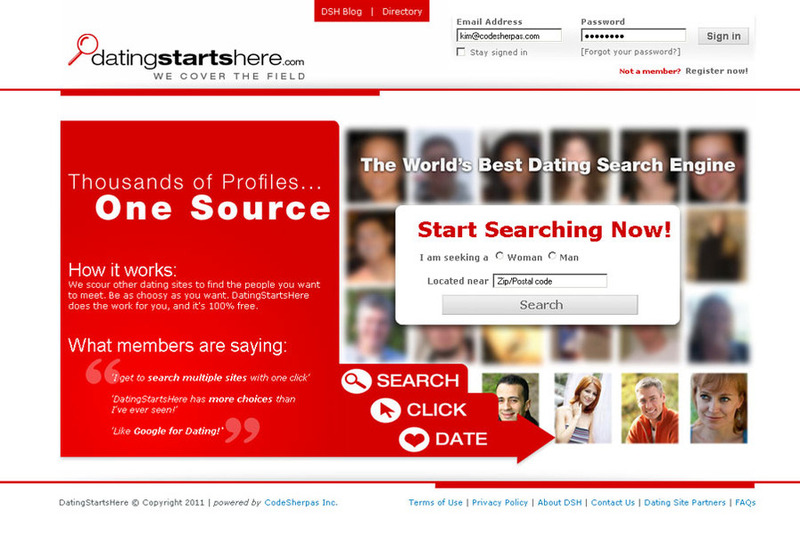 It uses a simple API method we developed for Partner sites to send Profile data.